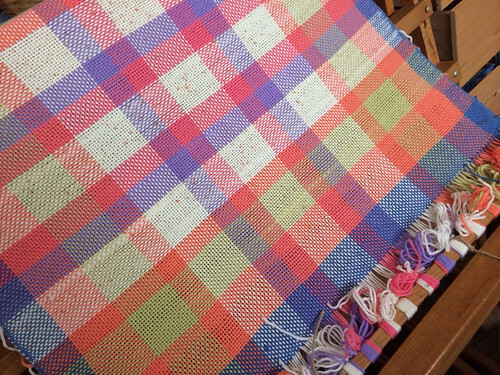 Just about to be taken off the loom. Funny, dressing the loom seems almost impossible the first time you learn about it, the first time you try it. But, it really is not that bad. Might I say, enjoyable even. And then once you start weaving, it goes quite fast. 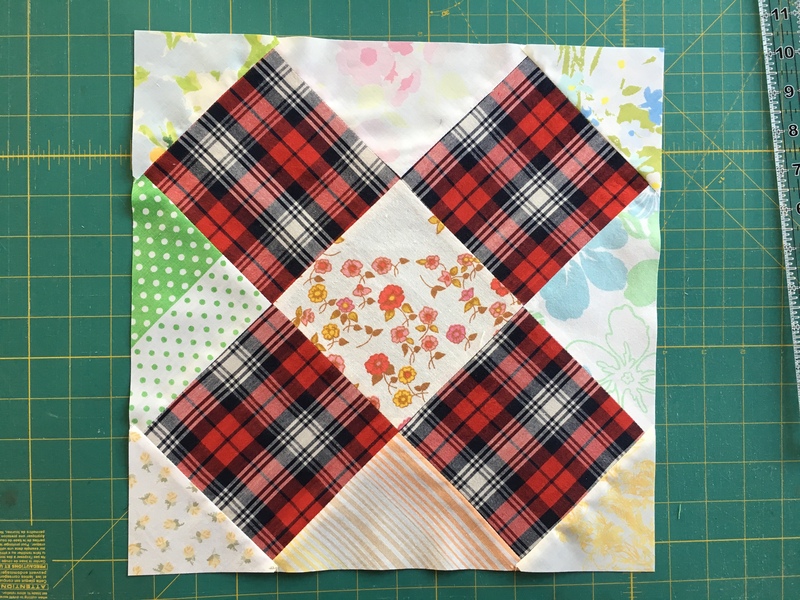 I would say – less labor intensive than quilting. And faster. I learned a lot working in this one, but most importantly – never again use stretchy, thick yarn for warp. Usable width on my loom is less than the width of the reed. The problem is the width of where I tie the warp in the back and in the front – I am not able to use the whole 36 in. Probably more like 32 to be comfortable. This entry was posted in weaving on January 22, 2014 by flekka.